I'm on level 25 and would love some new neighbours. Am will to join your neighbourhood as well. Feel free to ad me as neighbor! 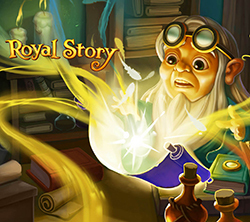 I'm New to Royal Story. I'm at level 46. I need neighbors please. I only have 4 active. I'm on Level 22. I really need baby bottles. I'm currently level 35. I play every day so feel free to add me and I'll fill your requests every day as well as help out on board orders and anything else you may need.